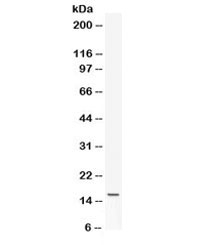 Leptin antibody LS-C490331 is an unconjugated rabbit polyclonal antibody to mouse Leptin. Validated for ELISA and WB. Leptin antibody was raised against amino acids KMDQTLAVYQQVLTSLPSQNVLQIANDLENLRDLLH of mouse Leptin were used as the immunogen for the Leptin antibody.